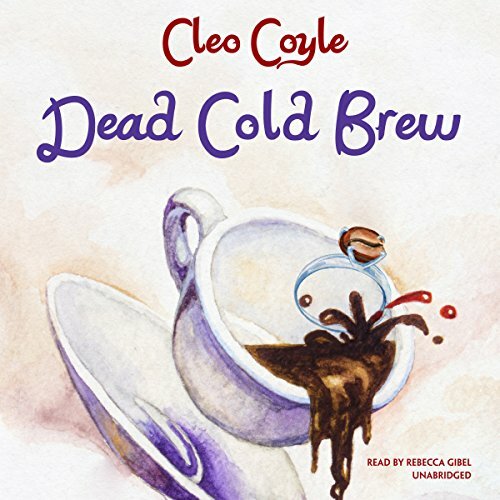 From Cleo Coyle, the New York Times best-selling author of Dead to the Last Drop, comes a gripping new entry in the Coffeehouse Mystery series. The perfect proposal leads to a chilling cold case. Coffeehouse manager Clare Cosi sheds tears of joy when her NYPD detective boyfriend surprises her with an engagement ring. But her bridal bliss is put on hold when a chilling mystery brings a wave of deadly danger to those she holds dear. First, a grim-faced attorney interrupts their party with a mysterious letter bequeathing a strange hidden treasure to Clare's daughter. Next, the renowned jeweler who designed Clare's ring is found poisoned in his shop. 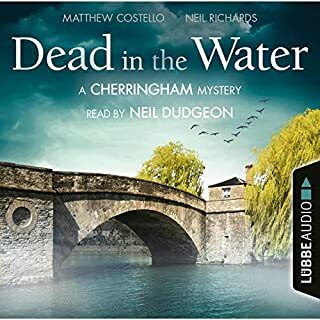 Both events appear to be connected to a cold-case murder involving a sunken ship, an Italian curse, a suspiciously charming jewel thief, and a shocking family secret. With deadly trouble brewing, Clare must track down clues in some of New York's most secret places before an old vendetta starts producing fresh corpses. With recipes to die for, including how to make cold brew coffee at home! ©2017 Cleo Coyle (P)2017 Blackstone Audio, Inc. I love this series and have been eagerly awaiting the arrival of this book. It was splendid. Rebecca Gibel is excellent. However, there is one small problem. The editing wasn't finished. The last 2 or 3 chapters had outtakes and comments that weren't part of the story. 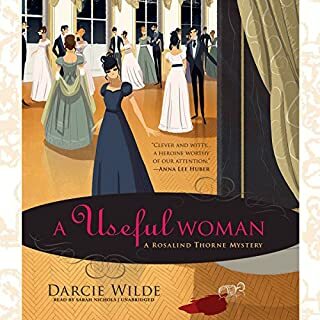 It was rather amusing and illustrated the skill of the narrator because you could clearly hear her step out of character and make a comment and then seamlessly slip back into character. 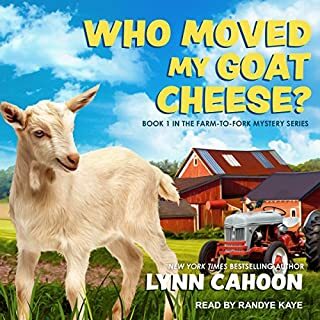 It wasn't bad enough to ruin the story, but producers might want to revisit the book and finish the editorial process for other listeners. Enjoyed the book. The narrator brings the characters to life. It's unfortunate that the editing of the that's 2-3 chapters did not remove corrections or comments to the director or the person recording the reading. Though this can be considered a minor flaw, if I bought clothing, furniture or other item that was not properly finished, I would return it for refund or exchange. 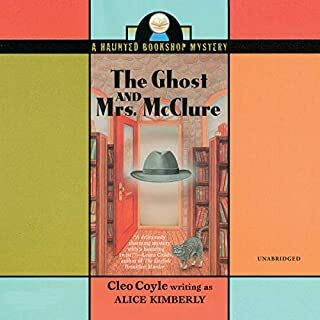 The narrator's performance was excellent, even finding errors in the text and questioning them before making the changes required to ensure the proper name or word was used. Unfortunately, the comments made at these instances were not edited out. great overall but poor editing. It was distracting that the last part of the reading left in multiple correction comments that should have been cut. otherwise very enjoyable. There are a number of mistakes where you can hear the narrator make verbal corrections and then redo them. The book was good easy listening. Followed a good storyline that kept me interested. The characters are likeable and entertaining. The author has a good sense of humor. Please check the editing of the audio. There several times the performer was checking words (Fontana v Fortuna) and (she knew instead of something else) that was left in the audio book. This is mostly towards the end of the book. Overall good book I'm checking now for the ones I didn't read yet! What happened to the promised recipes. And during the last part of the book in four places the narrator was speaking to the director. These should have been edited out. 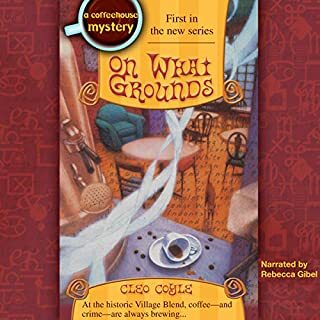 I have totally enjoyed this coffee house mystery series. I have listened to all the books available to date and plan to stick with the series. A note to the editor on this particular book: There are two places towards the end where the narrator is clearly talking to herself or someone else trying to work out how best to read the passage. It would have been good if this had been edited out as it distracts from the story and from the otherwise excellent narration. A delightful story. Emotionally poignant in places. Laugh-out loud worthy in other places. Just fantastic. Loved the characters, I interesting plot twists. Also like the production flues, where the narrator would announce the grammatical errors with the flow of the story line. Best book yet.